Choose any player to re-shuffle the cards in thier draw deck. 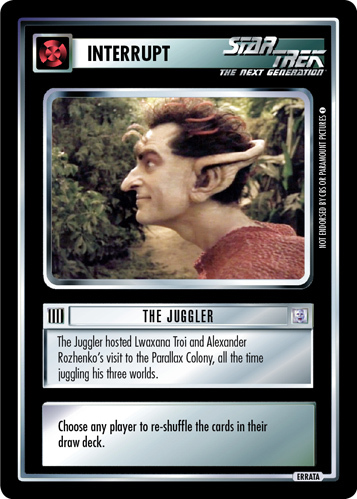 There are 18 entries for The Juggler (ST1E 1 U 142) at the Tradeplace (10 haves and 15 wants). 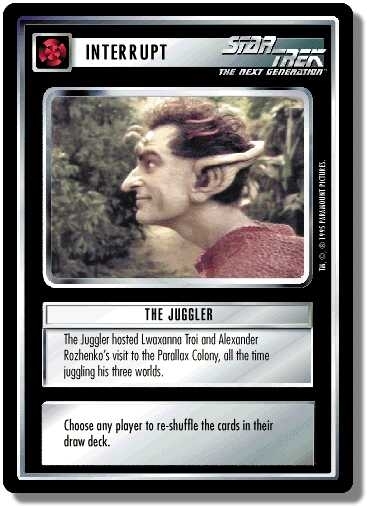 Click here to see all trade list entries for this Uncommon card! Also see here for all trade lists with any card fom "Premiere BB".